I know that this look isn't for everyone but I am really adoring Rachel Evan Wood's look from the premiere of her new movie The Ides of March at the Venice Film Festival. It's a really unique shirt dress by Alessandra Rich. She has definitely impressed me lately, what with that super short yet super versatile hair cut and her evolving personal style. 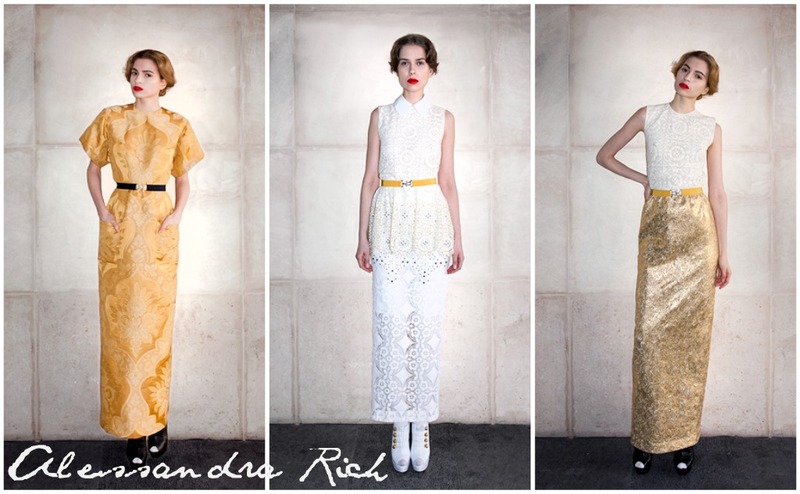 Check out some more looks from Alessandra Rich that I think are most certainly drool-worthy. I think I have found yet more fashion to pine for... which is happy and sad. Those are gorgeous! I don't think I could pull any of them off myself, but they are beauties!